Peter Shankman is the founder and CEO of The Geek Factory, a New York City-based marketing and PR strategy firm, and the author of Can We Do That?! Outrageous PR Stunts That Work and Why Your Company Needs Them. He’s also the founder of Help A Reporter Out, or HARO, which helps connect reporters to more than 100,000 expert sources. Peter is the trainer for Econsultancy’s Online PR and Social Media Workshop in New York next week, which explores how PR has radically changed thanks to the growth of social media. I spoke to Peter about online PR, social media and HARO. How has social media changed the art of the PR professional? Your job used to be to do PR. Now it’s to use the current tools to let other people do PR for you. Can you give me examples of brands that are getting it right with their social media strategies? Look at Ford Motor Company. They’re being very proactive, very aware. Look at Comcast. They’re a cable company. Most people hate cable companies and yet here’s a cable company that, when somebody’s having a problem and Twitters about it, Comcast immediately goes after them via Twitter and says “Hey, let’s talk about what the problem is and how we can fix it.” That’s almost unheard of in this industry. These are just two examples. Apple has always gotten it right and Pepsi is doing a phenomenal job using social media as well. When dealing with negative comments online, how should brands decide on the most appropriate response? The most appropriate response is a thought-out and tailored one. If you’re dealing with people who are complaining about you for the sake of complaining about you, there’s no point. You ignore them. If you’re dealing with people who have real complaints and are saying something worthwhile, you should respond with something like “Hey. I see that you’re having an issue and here’s how I’d like to fix it.” You do what you can do to make the situation better. Is it sometimes better to remain silent? Definitely. Like I said, it makes sense to remain silent when dealing with people who are talking to hear themselves talk and are complaining just to complain. They’re not worth responding to. What was your view of Dominos’ response to the infamous YouTube video of its employees? Could they have done anything better? I thought it was great. They got on the ball and said “Hey we fired these guys and by the way they were idiots”. By distancing themselves, they did a phenomenal job in getting an immediate response out there. It did exactly what they should have done. Can you tell me about HARO? HARO stands for Help a Reporter Out. It is currently the world’s largest media source repository in the world. Reporters can go to HARO and get their pick of over 100,000 different sources and journalists who are willing to answer questions on anything and everything. Whatever questions they have for whatever article they’re writing, there is an expert on it on HARO somewhere. It started off as a Facebook group a little over a year ago and now has close to 100,000 members. The growth has been crazy. What is the best way to integrate online PR/social media with other marketing disciplines? Where should it sit in an organization? I think that what people need to be aware of is that you can’t call online PR just online PR or social media PR just social media PR. It needs to be part of the campaign 100%. It has to be thought of as part of the campaign, it has to be utilized as part of the campaign. If you start looking at it as a type of different environment, it’s going to wind up hurting you because you’re not going to get the true benefit out of it. It should sit in the marketing and PR roles just like traditional media. Doing it any other way is the equivalent of hiring someone because they say they’re really good at Googling. There’s no need for a separate category. Social media marketing is nothing more than traditional online and companies need to be aware of this. How do you identify the key influencers on social media sites? You look for the people who other people are quoting, talking about and responding to. On Twitter, for instance, it’s those who get retweeted a lot and those who are saying interesting things. You can use the search feature on Twitter to find these people. Who’s talking about this? Who’s talking about that? Go after those people. What are the potential risks for companies thinking about engaging in social media? The biggest risk is that they’ll start to engage with social media and either get bored with it or not develop a clear plan. In 3 months, they won’t know where they’re at and what they’re doing. Another risk is that companies become afraid to join the conversation. What they don’t realize however is that the conversation has been existing for years. Whether or not they choose to get involved with it is their choice but the conversation has been there for the longest time. How do you think PR professionals and brands should be using Twitter? The biggest thing PR professionals and brands can do is listen. It’s such a big, big part of it. Listen to what people are saying and learn from it. Then, and only then, should you really start to move forward. Is online PR now taking over customer service functions in some cases? Yes and no. Customer service isn’t going away. We’ll always need customer service. If PR involves itself in customer service, as I think it should, that’s great. PR should be aware of what customer service is doing. But online PR is not a replacement for the guy who calls in who is having a problem with a product and needs somebody to fix it. That’s customer service and that problem always needs to be fixed. How should brands be measuring the success of their engagement on social media? It starts again with listening. Listen to what the Twittersphere and blogosphere are talking about. Are you trending? Are people talking about you? Are people talking about what your company is doing? Are people saying that your company is good at social media, that it has a great brand, that it’s good at customer service? Yes you have to make money but that will come over time as you continue to build and solidify your brand. How do you think social media will evolve over the next few years? I think we’ll be looking at one network and one network only. All of your contacts, whoever they are, will be on that network. Everyone you meet and work with will be on that network and you will start getting more information from that network. Right now, information flows outside the network to inside the network. You read something in the paper and then you write about it. It’s going to move more towards experiences that we have and things that we do that people start talking about in the network. That’s how you’ll get information that you want. It will be one network, one society. has been invested in a clear bet that the answer is ‘yes‘. Twitter’s utility as a means to share breaking news is not new. Its track record includes the bombings in Mubai and the landing of US Airways Flight 1549 in the Hudson River. Over the weekend, Twitter became a hotbed for reporting and discussion of the contentious presidential election in Iran. Craigslist’s business model may not seem aggressive — most of the classifieds site’s content is posted free — but its community-based model is on track to rake in revenue this year. 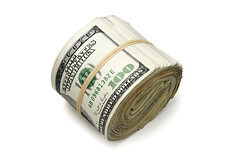 Craigslist.org is projected to earn $100 million in revenue according to a study by the AIM Group. craigslist” And that appears to be working, and CEO Craig Newmark says that he is “constantly engaged in community service,” and the site is heavily focused on engaging its community of users. with real estate making up the remainder.